The field of Physical Therapy has changed and evolved over time in response to changing medical procedures, and patient needs. 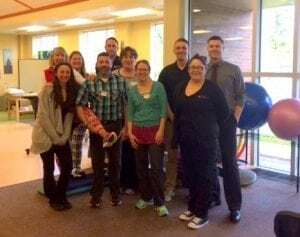 Whether you are rehabilitating post-surgery, strengthening muscles in preparation for surgery or simply needing therapeutic stretching and flexibility work, the Olympia Orthopaedic Associates Physical Therapy clinics are ready for you. The group’s number one goal? Helping you get your “Life in Motion”. 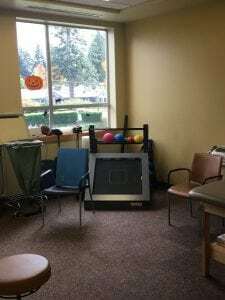 Spread throughout nearby Thurston County, OOA’s three clinics offer comprehensive service for patients being seen within the orthopaedic group or not. The Westside Clinic, near Capital Medical Center, the Eastside Clinic near Providence Saint Peter Hospital and the newest clinic, located in Hawks Prairie area of Lacey, all provide full PT services. Working in tandem with OOA’s surgeons and staff, the PT team members can be responsive to changing patient needs. The new Lacey clinic is adjacent to the new Rapid Orthopaedic Clinic, or ROC, which serves walk-in, acute orthopaedic injuries. 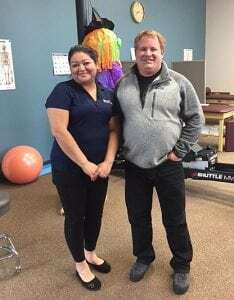 The connection between the two clinics is fluid and offers acute injury patients the option of on-the-spot PT services. OOA’s unique structure of surgeons and therapists all under one roof allows coordination, consultation and adjustment to individual care plans when needed. Patients feel the difference of the clear and efficient communication resulting in specific and efficient therapy sessions. Sisco shares the root of OOA PT’s mission is to provide the most convenient care, no matter the location. “We offer what is most convenient for the patient, whether it’s at the Eastside, Westside or Lacey clinic or in a physical therapy clinic outside the OOA family.” A focus on clear communication ensures the best care no matter where the patient is arriving from. The three clinics are excited about new processes and protocols now in place. The Hawks Prairie clinic is an example of expanding therapy services throughout the county with plans for south county clinics in the works. Sisco and Bowling team with their PTs to meet all patient needs, including accommodating walk-up patients from the physicians within their own clinics. While some days are jam-packed in the PT department, the therapists work diligently to try and see patients with acute, same-day needs whenever possible. Within the full Olympia Orthopaedic Associates organization “Centers of Excellence” are being established. These include Foot and Ankle, Hand and Upper Extremity, Neurosurgery, Spine, Joint Replacement and Sports Medicine. Specialized equipment partners with highly trained PTs to meet patient’s therapy needs. Photo courtesy: Olympia Orthopaedic Associates. 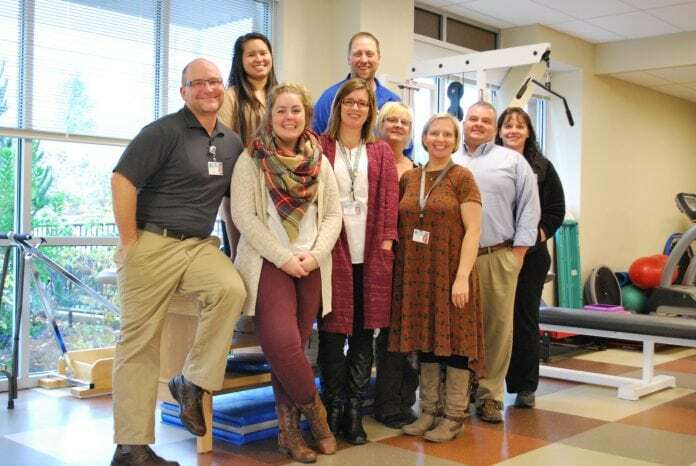 The newest clinic in the OOA physical therapy family is located adjacent to the ROC in Hawks Prairie. Photo courtesy: Olympia Orthopaedic Associates. 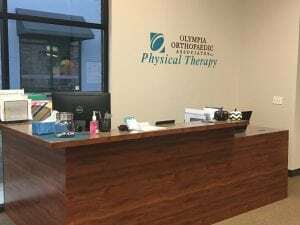 To learn more about Olympia Orthopaedic Associates Physical Therapy, visit them online or call 800-936-3386.